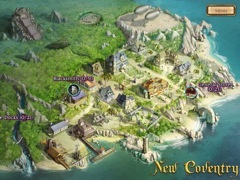 Explore a fantastic world in this epic hidden object game. 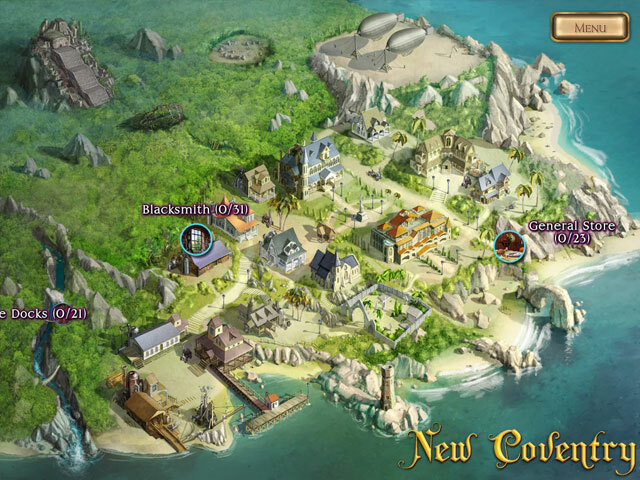 Discover The Clockwork Man and explore a fantastic vision of a past filled with steam-powered robots, flying airships, and strange science in The Clockwork Man, an epic hidden object game set in a whimsical world of fun! As the latest in a long line of engineers and inventors, Miranda Calomy has always had a knack for creative problem-solving. When a cryptic letter from her grandfather arrives at her London flat, Miranda sets aside her plans and embarks on a transcontinental adventure to help her grandfather before it's too late. 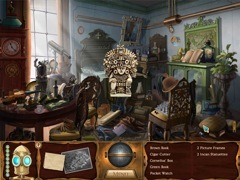 Join Miranda, and her helpful sidekick, Sprocket, on a vivid journey of hidden object challenges and perplexing puzzles in original settings. 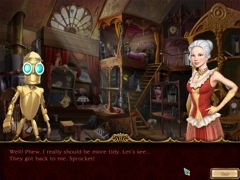 Featuring a rich Victorian setting, unique scroll and zoom gameplay, and an innovative hint system, The Clockwork Man is an engaging experience for all ages. Time's ticking; enter the world of The Clockwork Man today!